Chattanooga Throwback Thursday: Where Is It? This location was named for an artist who lived and painted in the neighborhood during the 1850s. It was once considered one of the finest neighborhoods in the city, containing many antebellum mansions and at the time, the oldest houses remaining in Chattanooga. Where is it? If you have ever visited the Hunter Museum of American Art in Chattanooga, Tennessee, chances are you have seen this well known painting by James Cameron. You can find out more about this painting here. "COLONEL AND MRS. JAMES A. WHITESIDE, SON CHARLES AND SERVANTS"
Deep Zoom Chattanooga has much more on James Cameron here. 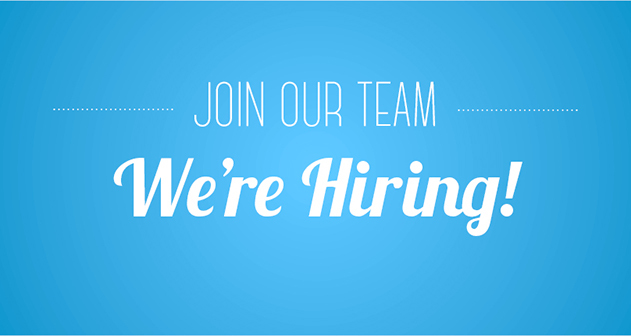 Langley Roofs is hiring a part-time Administrative Coordinator for our Chattanooga office. If you would like to be considered for the position, please fill out the form below to begin the application process. Serves customers by providing product and service information; resolving product and service problems. - Opens customer accounts by recording account information. - Maintains customer records by updating account information. - Resolves product or service problems by clarifying the customer's complaint; determining the cause of the problem; selecting and explaining the best solution to solve the problem; expediting correction or adjustment; following up to ensure resolution. - Maintains financial accounts by processing customer adjustments.Recommends potential products or services to management by collecting customer information and analyzing customer needs.Prepares product or service reports by collecting and analyzing customer information.Contributes to team effort by accomplishing related results as needed. Please list ALL EMPLOYERS and Dates of Employment for the last 5 years. Tell us why your experience makes you THE perfect fit for this position. Eclipses, whether solar or lunar, occur because of the periodic alignments of the sun, Earth, and moon. These three bodies, orbit in space in very predictable paths (yes, the sun orbits too. It orbits the galaxy once every 200 million years!). Ever since the days of Kepler and Newton, we have been able to predict the motion of planetary bodies with great precision. So, why do eclipses happen? Solar Eclipses Happen when the moon moves between Earth and the sun. You might think that this should happen every month since the moon’s orbit, depending on how it is defined is between about 27 and 29 days long. But our moon’s orbit is tilted with respect to Earth’s orbit around the sun by about five degrees. Not much, you say? Yes, but the moon, itself, is only about ½ degree in width in the sky, about ½ the width of your pinky finger held at arm’s length. So, sometimes the moon misses too high and sometimes too low to cause a solar eclipse. Only when the sun, moon, and Earth line up close to the “line of nodes”, the imaginary line that represents the intersection of the orbital planes of the moon and Earth, can you have an eclipse. This is true for both solar and lunar eclipses. This situation is somewhat unique as no other moon in the solar system orbits roughly in the plane of the “ecliptic”, Earth’s orbital plane, that the planets more or less follow. Did you know that there are four types of eclipses? Depending on your location and on the specific geometry of the sun-Earth-moon system, you may experience one of four types of solar eclipses; total, partial, annular and hybrid. A TOTAL ECLIPSE happens when the moon completely covers the sun. Here, the observer is standing under the umbral shadow of the moon. In a total solar eclipse, the sun’s outer atmosphere can be seen. The brighter stars and the planets come out. Animals change their behavior. Birds and squirrels nest. Cows return to the barn. Crickets chirp. There is a noticeable drop in both light level and air temperature. It is an eerie feeling. Totality can last for no more than about seven and a half minutes but is usually less than three minutes long. A PARTIAL ECLIPSE occurs when the moon passes in front of the sun, off center and only a portion of the sun’s disk is obscured. Here, the observer is standing in the penumbral shadow of the moon. AN ANNULAR ECLIPSE occurs when the moon passes dead center in front of the sun but, because the moon’s orbit is elliptical and so is sometimes closer and sometimes further from Earth, it appears too small to fully cover the disk of the sun. Here, a bright ring called the “ring of fire” appears around the dark disk of the moon. In an annular eclipse, the moon’s umbral shadow comes to focus – to a point – above the Earth’s surface. A HYBRID ECLIPSE is a combination of total and annular eclipses. The eclipse begins as one type and ends as another. Even though we’ll be witnessing history here in Chattanooga, don’t forget to protect your eyes! You can find out more about that here. Between getting dressed, fed and organized, it’s a miracle the kids make it to the bus at all. Get out the door faster this semester with these parent-approved tips from the folks at Good Housekeeping. Parents agree that this is one of the top culprits for running late. There’s no better time than the night before to select clothes for the next morning so avoid the early morning issue that always crops up of what to wear! Sending your kids off with a healthy lunch doesn’t need to be another item to eat up the precious little morning window of time you have. Prepping the night before frees you up to worry about other key issues…like where’s your keys? Failing to plan is planning to fail. Avoid having important school events or assignments sneak up on you by incorporating a family calendar into your routine. Technology even makes it possible to go paperless and have the schedule always with you! Routine is important, especially when time is of the essence, like during the extremely busy Chattanooga school year. Why is a routine important? Did you know that keeping a routine can improve overall health, well-being and productivity? Who couldn’t use that! So whether you have sent your child off to kindergarten for the first time, or your senior off to count down the days until graduation, all of us at Langley Roofing wish you and your children a very successful school year! Can you really install a solar roof on your home that would cost about as much, or even less, than a regular roof? That's a good question. Before we tell you the straight answer to the question, let's look at Tesla's cost comparison. "When you include the benefits of the solar production, Solar Roof will cost less than a regular roof. In fact, it may earn you money – as an example, the out-of-pocket cost of a Solar Roof for a typical home in Maryland will be around $52,000, but after considering the tax credit and the value of energy it generates, the roof will actually pay for itself and earn you about $8,000 over 30 years." Tesla’s online cost calculator uses your address to determine the ratio of solar to non-solar tiles your house would need to get 100 percent of your energy from solar. The calculator deducts the upfront cost of the roof and the Powerwall battery from the cost of what you’d otherwise spend on energy over 30 years. That estimate is based on the price of electricity where you live, assuming a 2 percent increase in your utility bill each year. Tesla uses a simplified interface to Google’s Project Sunroof, which can be found here. Tesla’s calculator factors in a 30 percent Solar Investment Tax Credit, but not the incentives and credits that are available from various states and local utilities. It's a long stretch to say that Tesla's solar roofs are as cheap, or cheaper, than a "normal" roof. The math has never been correct and now here is the truth. The very best and most expensive asphalt shingle installed will cost $5-$6 per square foot. Life span for this type of roof would be 30 plus years. The Tesla products are saying the cost of the roofing material at $21.00 per square foot. This does not include the labor or the hardware. Solar has its place but as a replacement for asphalt roofing, it's not a fair comparison and by no means cheaper. The New Year means resolutions to get healthier and everyone starts watching what they eat and counting calories, but if that's not on your list, we have another resolution list for you: Chattanooga burgers! It's winter in the Tennessee Valley and if the weather data from recent years is any indication, who knows what we can expect. It's better to be safe than sorry, so taking steps to winterize your roof is a step in the direction of preparedness, just in case we experience all that winter has to offer. Winter in Chattanooga can be just an early extension of spring, or it can sometimes be a long indoor winter giving way to the restlessness of cabin fever. Being indoors isn't a bad thing, so why not put it to good use and tackle some home improvement projects that are perfect for these uncertain months. Ready weekend warriors? Winter is the time when the public turns attention to the dangers of carbon monoxide, but did you know that it's a threat to your Chattanooga home all year long? This colorless, odorless and tasteless gas is produced by appliances and other devices that generate fumes as they burn fuel. Items such as your furnace, water heater, stove, space heaters, charcoal grill and gas dryer can be sources of carbon monoxide in your home. If these items are not in good working order, or if proper ventilation is an issue, the risk increases of carbon monoxide exposure. What precautions can you take against carbon monoxide in your home? - Install and test a carbon monoxide and smoke detector in your home. - Avoid closed spaces, such as your garage, when burning a charcoal grill. - Never leave your car running in a closed garage, including warming it up during the cold mornings of winter. - Ensure you use your gasoline or diesel powered generator outdoors. If you need further resources about preventing carbon monoxide in your Chattanooga home, please visit the National Fire Protection Association. It's that time of year when Chattanooga homeowners begin to channel their inner Clark Griswold and plan their exterior holiday illuminations. Before you go any further in your plans to deck the halls and beyond, here are a few things you need to consider. Before we dig into some great recipes, we thought you might like to know some peanut trivia that you can impress your family and friends during your Thanksgiving gathering. Did you know that gutters made of galvanized steel or aluminum will usually last for about two decades, and the life expectancy for copper guttering is even better: nearly half a century! The life projections do not account for other factors which include: fallen tree limbs, damage from ladders and other large objects. As little as two minutes. That's how long you may have if a fire starts in your home, so you can see how important the early warnings are from your working smoke alarms in your Chattanooga home. Each year more than 2,500 people die and 12,600 are injured in home fires in the United States, with direct property loss due to home fires estimated at $7.3 billion annually. It’s that time of year again when the Chattanooga landscape lights up with vibrant fall colors, coffee becomes pumpkins and people crave cardiac experiences that are sure to yield many sleepless nights in the coming months. So if heart stopping fear is penciled in on your calendar each October, here are four Chattanooga haunted house attractions you need to experience. As Hurricane Matthew is creating a path of destruction along the coast of Florida, Georgia and South Carolina, one of the major topics that will be on the minds of millions of people is insurance. Here in the Chattanooga area, while hurricanes are not an issue, we have our own storm season during the uncertainty of Spring in the Tennessee Valley. Reflecting back on the 2011 tornado outbreak in the region, many homeowners found themselves coming face to face with the harsh realities of proper coverage on your home. Gutters are an important part of your Chattanooga home, protecting it against costly water damage, protecting your roof and the exterior of your home from rain and moisture while providing effective drainage. Did you know gutters that are not functioning effectively in your Chattanooga home can cause damage that is costly to repair, such as problems with insulation, internal and external paint, mold, and internal property damage? It's easy to see why you need to pay close attention to the function of your Chattanooga home's gutters and to repair or replace them when red flags emerge. It has been a long hot summer in the greater Chattanooga area and your home's roof may appear to have survived the brutal heat, but now it's time to take a closer look through a fall roof inspection. Fall roof maintenance is a necessary part of extending the lifespan of your roof – and protecting your home’s integrity. A leak in your Chattanooga home's roof, no matter how small it seems to be, should be something you take seriously and address quickly. A small roof leak, if left unresolved, can evolve into a major issue for your Chattanooga home. Mold, ruined insulation, damaged ceilings and rotted framing are just a few expensive issues that can arise from a leak that is left unaddressed. Does this mean that you should take out your DIY tool belt and climb up on the roof to fix the leak? Not exactly. And here's why. Replacing your Chattanooga roof is not an expense that most people can simply write a check for, so many homeowners are left sorting through options to pay for replacing their home's roof. We understand that replacing your Chattanooga home’s roof is not something you generally think about until the need arises, so we have put together a list of payment ideas to help you find the right option that best fits your situation. Slate roofs aren't just durable; they are practically a lifetime roofing system. For centuries slate has been known for its beauty and longevity. A slate roof is generally regarded as the best roof you can buy, but it is also one of the most expensive roofs to install. If you are looking for something to make your Chattanooga home standout, and not to mention phenomenal curb appeal, consider this timeless roofing solution. Langley Roofing is a premier roofing contractor in the Greater Chattanooga Area. Get a roofing quote for your home in the Greater Chattanooga area. Has Langley Roofing installed a roof or skylights for you? If so, we’d like to give you up to $250 in gift cards.